We’re not here to judge but it’s 4.20 somewhere in the world, right? If you’re all for legalizing the herb, perhaps these destinations where weed is legal (no need to get paranoid) would better suit your type of relaxation. Go on and weed all about it. Colorado made weed completely legal back in 2012, with one tiny problem: smoking it in public was still prohibited. So tokers could buy all the weed they wanted to, without a proper place to relax and get high. Enter Bud+Breakfast, a bake-cation where you can light up freely in the company of other guests. If you’re in the state and up for a road trip — or to paint a more accurate picture, a cruising road trip — Bud+Breakfast has three locations in Denver, Colorado Springs and Silverthorne. While the lovely couple that runs B+B do offer free samples during 420 hour (aka happy hour), you’re required to bring your own bud. Not a crackhouse, guys. It’s no surprise that Amsterdam is in this hit list (ba dum tss). And as always, the coffee shop trend is well lit (double ba dum tss). Unlike your typical cafe, here you’ll find a menu of edibles like space cakes and weed-infused beverages. or café. Two spots are standouts in particular; Mellow Yellow, the first ever cafe of its kind in Amsterdam and is still popular amongst locals and tourists alike, as well as The Dolphins, where you’ll surely enjoy the trippy interior. And here we have Uruguay, the first ever country to legalize marijuana AND make it tax-free. Smart move too (we should add that “smart” depends on which side of the fence you stand on); industrialising recreational weed at low prices undercuts competition from the black market. Uruguay is having none of that, no thank you. In fact, marijuana clubs are sprouting up. 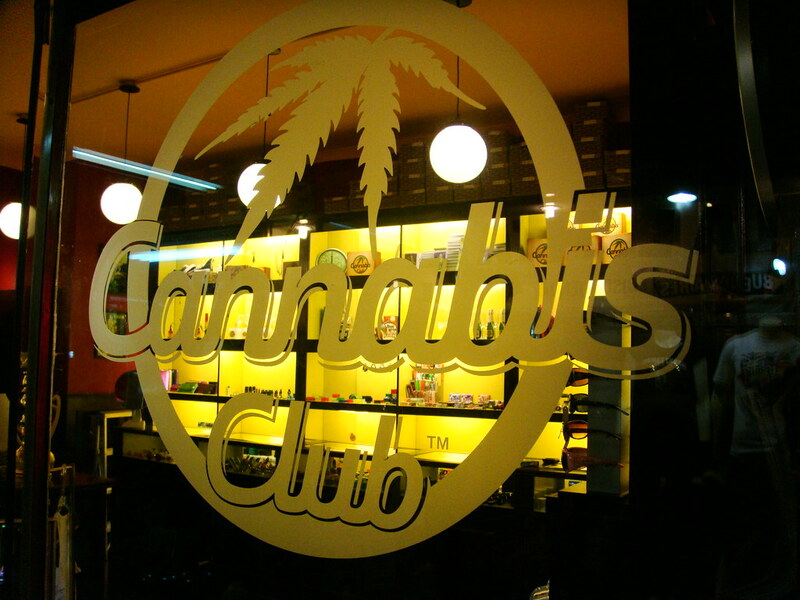 To really be part of the culture, there’s no finer members-only elite club than Canabico Sativa in Montevideo. They require a USD 400 joining fee on top of a monthly USD 92 fee, to ensure that they’ve got the best equipment to produce the highest quality weed. More good news for the luxe crowd: Barcelona has a very elite kush scene too! Enter Barcelona’s private clubs come dispensaries like La Mente that defines the high life. Then there’s the BCN 420 Club; a little younger, more laid-back, and member’s get access to a couple more clubs in Barcelona. And also — this is very considerate — you get a free grinder when you sign up. Careful, smoking in public isn’t legal so all marijuana activity has to be done indoors.